Gabriel Lirios is supervised by A/Prof Megan Munsie, Dr Claire Tanner, and Prof Meredith Temple-Smith. Gabriel will look at the ‘Role of GPs in people’s pursuit of unproven stem cell treatments: views and experiences of Australian patients’. Interviews will be conducted with patients who have sought advice from GPs as to whether stem cell treatments offered outside conventional medical practices were an option for them, and the impact of these discussions on their health journey. The study aims to provide information that ultimately improves the support given to those contemplating such treatments. Tessa Moon’s project title is ‘Will a sexual health discussion checklist assist older adults and GPs in initiating sexual health discussions?’. Tessa is supervised by Prof Meredith Temple-Smith, Prof Jane Hocking, and Dr Sue Malta. This project aims to tackle the barriers to the discussion of sexual health issues between older adults and GPs. Using a mixed methods study, this project will identify the sources of sexual wellbeing information available to older Victorians and explore their perspectives of the benefit of a sexual health discussion checklist when talking to their GPs. Peter Nguyen is supervised by Dr Jennifer Walker and Prof Jon Emery. His project title is ‘CRISP-A: Exploring methods for communicating the harms and benefits of aspirin to reduce the risk of developing colorectal cancer’. Peter’s project aims to determine the influence of novel and established methods of presenting the potential risks and benefits of aspirin. This project will form part of the development and implementation of a colorectal cancer risk prediction tool for use in general practice. Sophie Russ-Hall’s project title is ‘The pathways into and common characteristics between Early Pregnancy Assessment Services (EPASs) in Victoria’. Sophie is supervised by Prof Meredith Temple-Smith and Dr Jade Bilardi. EPASs are designed to care for patients experiencing early pregnancy complications. EPAS numbers are limited in Victoria, and there is minimal literature on the topic. This project aims to describe and understand how patients access these services and what they offer. The findings will allow comparisons to be made between EPASs and recommendations on improving miscarriage care to be provided. Jane Wen’s project title is ‘Exploration of health professionals’ experiences of the barriers and facilitators of the Stepping Up model of care’. Jane is supervised by A/Prof John Furler and Dr Jo-Anne Manski-Nankervis. The Stepping Up program is a quality improvement activity in general practice. It aims to improve the quality of care for people with type 2 diabetes. Jane’s project explores the barriers and facilitators experienced by health professionals’ throughout the Stepping Up model of care. 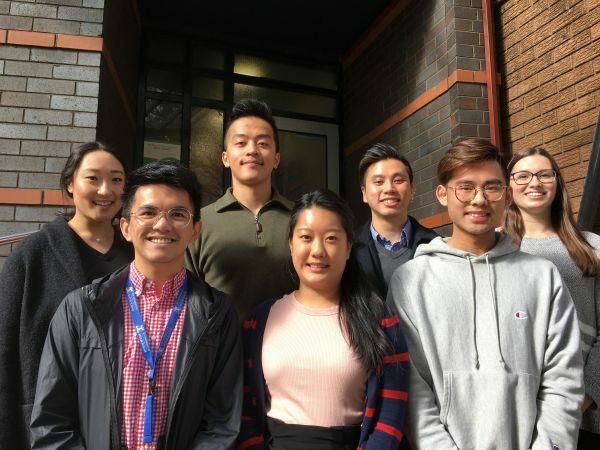 Anthony Tran and Matthew Chen are working on a joint project of ‘Diabetes management: a feasible and acceptable model of shared responsibility between general practitioners (GPs), primary health care nurses (PNs) and oral health professionals (OHPs) in community health services’. They are supervised by Dr Phyllis Lau and Prof Hanny Calache. Their joint project aims to develop a model of shared responsibility in diabetes management that involves GPs, PNs and OHPs in a community health setting. A mixed methods approach will ensure broad stakeholder consultations. The objective is to have a model and a training program for GPs, PNs and OHPs in readiness for testing effectiveness (training program), feasibility and acceptability (model). Anthony will be responsible for the GP and PN arm of the study, and Matthew will be responsible for the OHP arm of the study.